So you are interested in applying for CFS19? Great! Formula Student is the largest engineering competition in the world for students. Its aim is to improve engineering education by providing hands-on experience from a project where you can take your own concepts and designs all the way to a physical prototype. Every participating team designs, manufactures and tests a vehicle with which they then compete against other teams in several different events. There are track driving events such as endurance and acceleration, and static events where the cost of manufacturing, the vehicle’s design and the business idea of the project are presented to judges. CFS19 will build an electric powered Formula Student car and intend to participate in two Formula Student competitions during the summer of 2019. During the summer of 2018 CFS participated in Formula Student Netherlands (FSN), Formula Student Austria (FSA) and Formula Student Spain (FSS). The best result was achieved at FSA with a third place overall among 17 electric teams. Our hope is now that you want to take over the mantle and ensure that CFS remains a competitive Formula Student team! It should be stressed though that it is up to each new to team to decide on an ambition level that suits them. The project exists for educational purposes and the main priority is that it should be a great learning experience. Please read the Application information for CFS19 below carefully before you download the application form, fill it out, and send it to bjorn.palsson[at]chalmers.se. If you want to know more about Formula Student before you apply, please have a look at our Formula Student page. You can find out what it looked like when CFS went to Austria this summer here, and the official post competition video can be found here. Every year CFS recruits a new team consisting of 25-35 Project Engineers and these team members also take the course TME047 (15 ECTS). In addition CFS recruits 5-10 Trainees. The Trainee role is an introductory position where you can learn about the project and it forms a great starting point for participation as a team member the following year. To be a Trainee does not give any credits. Typically the Project Engineers are first year Master’s students and Trainees third year Bachelor students, but these are not strict requirements as seen below. 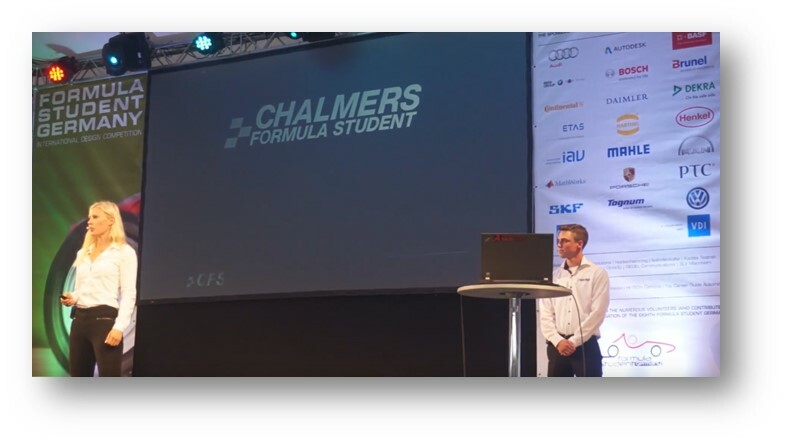 The course TME047 Chalmers Formula Student gives 3 credits during the autumn and 12 credits during the spring. It is a strong recommendation to only study one course in parallel with CFS during the spring periods as the manufacturing phase is very time demanding. You cannot combine CFS with full time Master thesis work as stated above. Participation in CFS is a full year commitment that requires a lot of time and dedication, much more than the 15 ECTS indicate, but it also gives a lot in the form of experiences and friendship. You get back what you put in. To participate in CFS both as Project Engineer and Trainee you have to apply and be accepted. The recruitment for CFS19 is performed in two steps. The first step is a written application. You find the application form below under “APPLY FOR CFS19”. In the second step a selection of the applicants are called for interviews before the final team is selected. The schedule for the CFS19 recruitment process is shown below. In short we are looking for skilled people with dedication to the project that want to be part of a high performing team. We are also looking for a range of qualities – we need both the theoretical and practical, the marketers and the engineers, the talkers and the thinkers. If you think you have something to contribute with, you probably do – so tell us what it is! We would like to recruit team members from all over Chalmers. So whether you study architecture, entrepreneurship, computer science, electrical or mechanical engineering, we welcome and encourage you to apply. While we do appreciate previous experience and ask about it during application, that is also what you are here to get. Few of the team members have built a formula style race car before, so don’t let a lack of experience in this area stop you from applying! Below you will find a description of the different areas of responsibility (subgroups) within the team. You can select your application priorities between these areas in the application form. This subgroup is responsible for the frame structure and driver ergonomics. 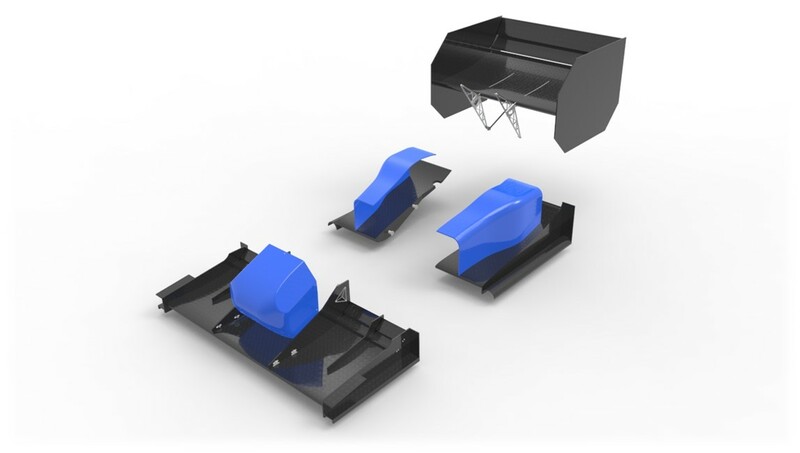 CFS typically builds a carbon fibre monocoque which requires work in surface CAD modelling and the design, simulation, test and manufacturing of carbon fibre sandwich layups and parts. This subgroup is responsible for the suspension assemblies, brake and steering systems and the mechanical aspects of vehicle dynamics. 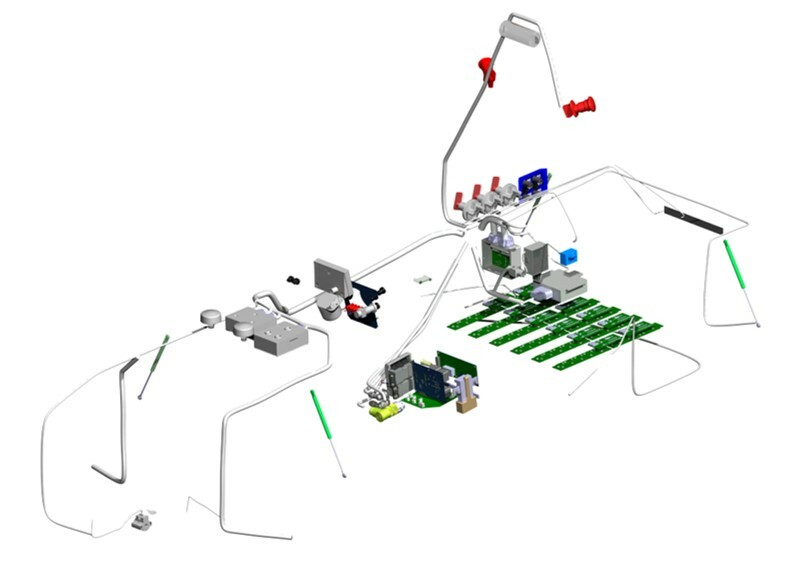 The mechanical subsystems under this subgroup are built up from a large number of parts and require mechanical parts design using CAD and structural simulation tools. 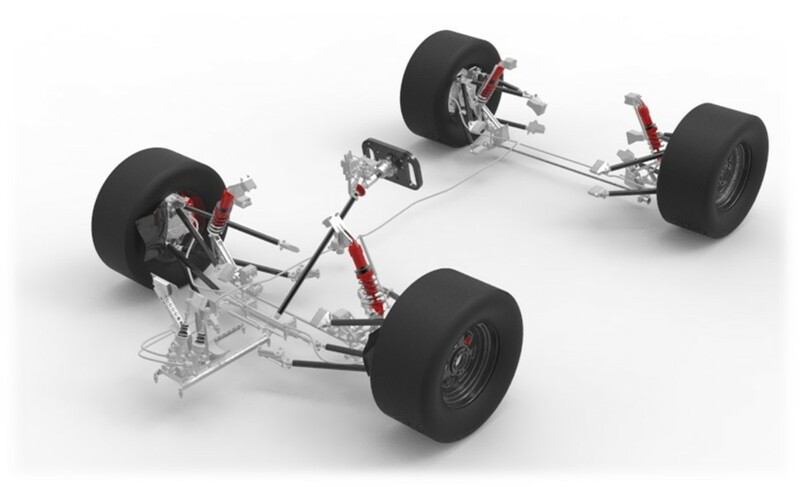 The vehicle dynamics aspects are designed using specialised simulation tools for lap time, vehicle manouvre and suspension kinematics performance. This group is responsible for the design of the aerodynamic devices (e.g. wings) on the car to ensure the best possible aerodynamic performance as well as ensuring that the cooling air flows are sufficient. The work typically involves the structural and aerodynamic design of carbon fibre wings including structural simulations and fluid dynamics simulations (CFD). Last year we were able to test the car in Volvo’s windtunnel. This will be the ambition for CFS19 as well but it cannot be guaranteed as it is heavily dependent on the availability of the tunnel. The CFS19 will have an electric powertrain, but also electric powertrains require mechanical design. This group is mainly responsible for the design of gear boxes, cooling system, battery casing and mechanical design aspects of the electric motors. This subgroup is responsible for the high voltage drive system of the car. This includes for example the high voltage aspects of the battery (e.g. pre-charge circuit), motor control and the overall design of a High Voltage system and the safety requirements that comes with it. Before the powertrain goes into the car it will go through extensive benchtesting during the spring. The low voltage electronics group is responsible for the car’s control, communication and monitoring systems. On the hardware side this involves for example the selection of sensors to acquire log data, the design of customized printed circuit boards (PCBs) and the vehicle’s safety shut down circuit. The physical low voltage system is shown in the image below. On the software side it for example requires the programming of microcontrollers on PCBs to take actions based on input from sensors and driver. The functionality could be anything from safety related features (the car should shut down if battery voltage is too low, if there is a grounding fault etc.) to performance related control algorithms such as wheel slip control and drive torque control (torque vectoring). In short the LV subgroup works with LV hardware, programming and control systems. The Low Voltage system including processing nodes, shut down circuit, battery monitoring system, sensors, data logger, DC/DC converter etc. This group has responsibilities in two different areas. It is responsible for the team’s partner relations and external communication (e.g via social media) and it typically takes on a leading role in the team’s internal organization and management. Members of this group are often responsible for the business presentation event at the competitions where a business case based on the CFS19 car should be pitched to investors. Roles in this group are very well suited for students with an interest in subjects related to industrial economics as the overall responsibility for the cost event and the Bill of Materials for the car typically lies with this subgroup as well. NOTE: If for some reason Word opens the file in Read Mode, press View and then Edit Document to access it. *By submitting this form you agree that CFS can use your personal contact details to contact you during the recruitment process for CFS19. The information provided in this form will only be used during the recruitment process for CFS19 and will be deleted afterwards. Your information will not be shared with a third party.